Enterprise data storage historically meant buying powerful storage arrays and populating them with drives until the array reached its capacity, then going out and acquiring new arrays. It was an expensive and time intensive model, one that drastically impacted both the business’s ability to deliver products and the company’s profitability. Enter cloud computing. As detailed in my previous blog, cloud computing has changed the way businesses design, develop and deliver products. Cloud computing has provided the kind of agility and flexibility never before seen with traditional IT infrastructure. Cloud computing also provides a significantly more cost-effective approach to delivering IT services. This often fact often causes tension between the CFO, pushing the organization towards the cloud to improve the bottom line and the CIO, looking to maintain control and security over the IT infrastructure. This and several other reasons led to a slow initial adoption of the cloud, however as more and more companies have started adopting the cloud, a hybrid-cloud strategy has been the most viable solution. The evolution of data storage in a cloud-scale world. Traditional storage solutions do not provide both the technical and economic flexibility and agility required to deliver cloud-scale applications that support businesses such as e-commerce, fintech, healthtech and SaaS. The limited alternatives that were deployed in private data centers don’t work anymore. Fortunately, there have been some significant advances in the form of all-flash arrays and software defined storage. All-flash arrays deliver greater speed, reliability, business impact and security; in addition to greater storage density. Software defined storage delivers extreme economic flexibility by breaking the traditional “storage box” and the ability to disaggregate hardware from software. In addition, software-defined storage can also deliver enterprise level capabilities such as rich data services, mixed workload processing, and external integrations. 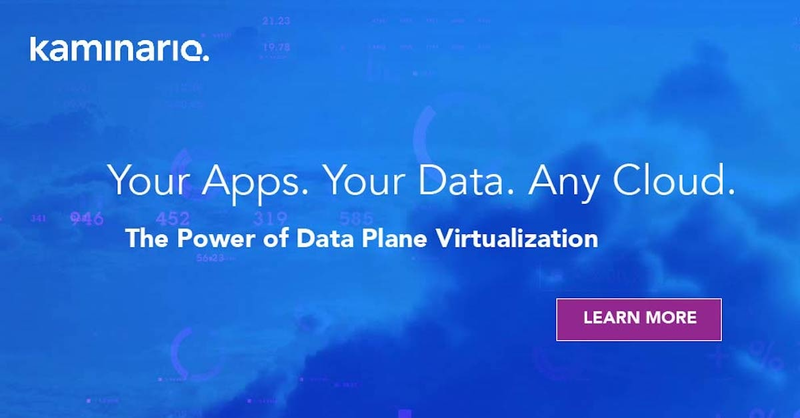 Kaminario’s version of software-defined storage, the Composable Data Platform, delivers a platform to monitor storage usage, storage automation, predictive analytics, resource orchestration and machine learning to deliver deeper functionality to customers. As the physical infrastructure components continue to become commodity resources, it is the combination of software defined and industry standard all-flash arrays that will enable enterprises and cloud service providers deliver the cloud-scale applications of the future.